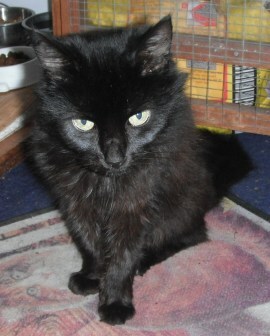 Trixie is an extremely sociable, pretty black cat who loves fuss and attention. She really needs a home where someone is at home for a large part of the day to give her the company that she craves! !